The world is full of strange phenomena and one of them happens to be the UFOs. Even after 71 years since the first sighting, the UFO remains a mystery. Many believe that aliens visit our planet in flying saucers. On the other hand, some believe that it’s just a regular aircraft that somehow appears like a strange object. Some even disregard it as any kind of flying machine but consider it merely a balloon or a cloud. Nonetheless, for the past 71 years, the UFO craze has taken the world by storm. It has provided the mainstream media and authors enough room to explore and come up with all sorts of explanations. Yet, most of us are still trying to figure out the reality behind UFOs. So, without wasting any time let’s find out more about UFOs. 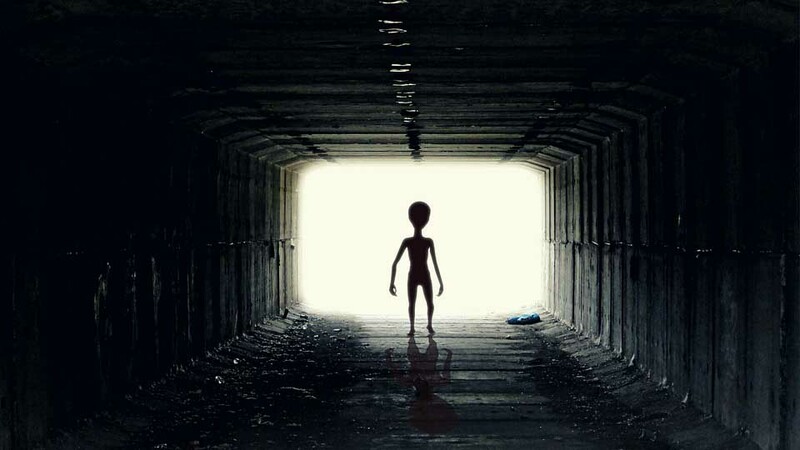 Are aliens visiting us in UFOs or it’s just an interesting story created by the media? Though people have reported about seeing strange objects in the sky since ancient times, UFO is a rather new-age phenomenon. Basically, UFO is an acronym for Unidentified Flying Object. This particular term appeared for the first time in the 1950s. Until then the strange flying objects were referred to as Flying Saucers. Yeah, that’s the term that we’re more accustomed to. The weird flying machines were called flying saucers because of their disc- like shape. The term flying saucers for the UFOs became a trend after a US pilot Kenneth Arnold reported about seeing a saucer-like object. He was flying over the Mount Rainier when he saw it. Until the late 1940s, the flying saucer was the term that defined UFOs. Originally, the term UFO was used for almost any strange object seen floating or flying in the sky. Whenever a pilot saw an experimental plane that couldn’t identify, he believed it to be a UFO. Gradually, the definition and specification of UFOs got more refined. After the 1940s, the aircraft sightings believed to be from another planet were labeled as UFOs. In fact, the idea became deeply embedded that UFOs were flown by aliens. People believed that UFOs were outer-worldly vehicles. There were many reports of people being abducted by the aliens and taken along to an unknown destination. A majority of the UFO sightings have come from pilots. In many incidents, the pilot claims to have seen a strange flying object unlike any aircraft he’s seen before. Unidentified Flying Object or UFO as a term for flying saucers was firstly recorded in 1953. It was firstly used in a book authored by Donald Keyhoe, a famous writer and US aviator. In 1956, the term UFO formally replaced flying saucer and the credit goes to Edward Rupplet, a USAF officer. Rupplet was responsible for investigating the strange flying objects. He believed that flying saucer wasn’t a suitable term. UFOs offered a broader description of these objects, in his opinion. Thus, this is how the world was formally introduced to the UFO phenomenon. Pretty soon there were reports of potential UFO sightings from around the globe. So extensive was the impact that investigations were launched to study the phenomenon. The study of UFOs was officially named as Ufology in 1959 and the field experts were categorized as Ufologists in 1963. These 9 objects were flying quite close to his aircraft. Eight objects, claimed Arnold, were disc-shaped. The ninth one was much bigger than the rest and was shaped like a crescent. He also noted that all the objects were flying in a customary V-shaped formation at roughly 1,200miles an hour. He suspected it to be a military exercise. However, he was sure that the objects were saucer-like in shape. He hadn’t yet seen such a weirdly designed aircraft. Moreover, at the time no aircraft could fly in this formation. While he was giving interviews to the press and at the radio station, his comment saucer was highlighted a lot. Physical description of the strange objects was, thus, associated with the term saucer since then on. Immediately, rumor mills got activated and all sorts of theories emerged. The most popular one was that the objects were from outer space. This was regarded as a ground-breaking discovery as it indicated there was life on other planets. However, by that time aliens weren’t specifically associated with the visitors in the strange objects. It was in the 1970s that people started speculating about the presence of aliens on UFOs. It was an era when environmental concerns were rising and the threat of a nuclear war was looming. Hence, conspiracy theorists came up with the idea of alien species visiting the earth. By the 1990s, though, this narrative reached a new height of extremity. 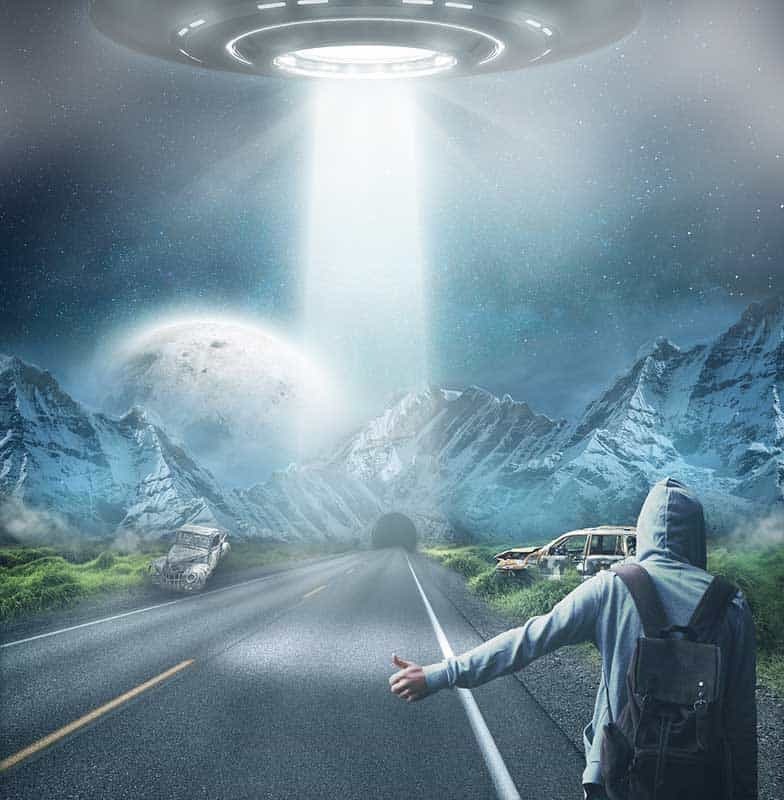 Not hundreds but thousands of reports about people being abducted by aliens emerged. It was believed that aliens are kidnapping humans to perform medical experiments. Even the thought of being abducted by the aliens is eerie. Isn’t it? Who are the Sky People AKA Aliens? Theories of aliens and ancient astronauts have remained the center of human imagination for centuries. There are many legends and artifacts from thousands of years ago that describe sightings of unidentified flying objects. Their shape, size, and characteristics do vary though. Back then, aliens were referred to as the Sky People. It was believed that the sky people come from a highly advanced civilization. Legend has it that the first ever contact with the sky people occurred soon after the cataclysm. Theorists proclaim that this contact has occurred several times in the history of the planet. This information has been substantiated by archaeological, geological, anthropological, and paleontological data as well. Evidence suggests that there have been several cataclysms on the planet. Every time there was a change at the global level such as climate change or mass extinction, this contact occurred. One of the legends claims that after the catastrophe, human civilization was reduced to the Stone Age. Then the sky people descended on the Earth from their spacecraft and rebuilt the civilization. Could they be aliens or just an illusion? It is evident from many historical accounts that there are various kinds of sky people who are part of legends. These could be gods, aliens or planetary bodies like the sun, moon, stars, etc. Investigators in the TV show Ancient Aliens attempted to know the reality behind ancient gods. Their conclusion was that they were aliens. However, this judgment lacks substance. For instance, the Greek sun god Apollo is just that- a sun god. It cannot be an alien flying through the sky in a saucer-like spaceship. Moreover, the spacecraft that many legends refer to as vimanas and flying machines, could very well be from previous civilizations on earth. Many legends state that the spacecraft transported some of the humans to another planet during the catastrophe. This planet could be the Moon, Mars or Venus. It may also be somewhere under the sea or the earth. There isn’t any clear indication of the reality of the sky people. So, if the accounts are true and not mere myths, then sky people might be humans who somehow built flying machines. We may disregard the concept of a UFO as a mere myth or product of crazy fiction. But, the unexplainable sightings in such a large number do hint that UFOs could be for real. Some of the famous sightings are listed below. Nearly 12,618 sightings were reported only between 1947 and 1969. These sightings were reported to Project Blue Book. It was the name of an ongoing UFO research project headquartered at the Wright-Patterson Air Force Base. Out of these, about 701 still remain unidentified. The first and probably most talked about sighting involved Kenneth Arnold who identified 9 strange flying objects in 1947. We have already discussed this incident at length earlier in the article. The same year, on July 8 New Mexico’s public information office reported about recovering a crashed flying disc. It was recovered nearby a ranch in Roswell. The military later explained that it was the debris from an experimental observation balloon. However, critics weren’t buying this explanation. They even criticized the government for hiding the truth. It was firmly believed that an extraterrestrial aircraft was found near Roswell. They were also certain that not just the spacecraft but its occupants were also captured from the location. In 1948, a 25-year old Kentucky Air National Guard pilot Captain Thomas Mantell died while chasing a UFO. He was an expert airman and had actively participated in the WWII as a pilot. So, it came as a surprise to many that he died in a plane crash. The two co-pilots who were flying with Mantell that fateful day couldn’t clearly explain the object they were pursuing. In November 1953, First Lieutenant Felix E. Moncla Jr. received strange orders while he was flying. He was tasked to intercept an unidentified object. The object was tracked by the radars installed at Sault Ste. Marie, Michigan. As Moncla Jr. got closer to the object, his plane simply vanished from the radar. It was never found again. The Mariana UFO Incident from 1951 is another popular case of UFO sighting. Great Falls’ pro baseball team’s manager managed to capture images of two UFOs. The spaceships were flying over Great Falls. The footages were analyzed quite extensively by the USAF and independent researchers too but they couldn’t explain it. In 1959, a Pan American flight was traveling to San Francisco from Honolulu. The crew suddenly encountered a UFO while flying at 21,000feet over the Pacific. Pilots from two other airlines also confirmed the sighting. Reporters were later told by Captain George Wilson that there was a very bright light surrounded by smaller lights. The UFO was traveling at lightning speed. “I’m a believer now” concluded Wilson. In Belgium, between 1989 and 1990 a large object containing huge lights was identified by not one or two but hundreds of individuals. Those who saw the object included air traffic controllers, cops, and Air Force officials. However, their claims about seeing a UFO were rejected and the object was termed as a polystyrene fake. This was a rather hilarious logic offered to explain something witnessed by hundreds. On July 11, 1991, Mexico City was observing an eclipse when many people saw and even recorded glimpses of a UFO. A similar incident occurred in Belgium in 1997. It became famous as the Phoenix Lights. This particular incident was also witnessed by a multitude of people including politicians and air traffic officials. This story was featured on the National Geographic documentary titled “Secret History of UFOs” too. The ex-governor of Arizona Fife Symington stated that he himself had witnessed the Phoenix lights. “I suspect that, unless the Defense Department proves it otherwise, it was some form of an alien spacecraft,” said Symington. 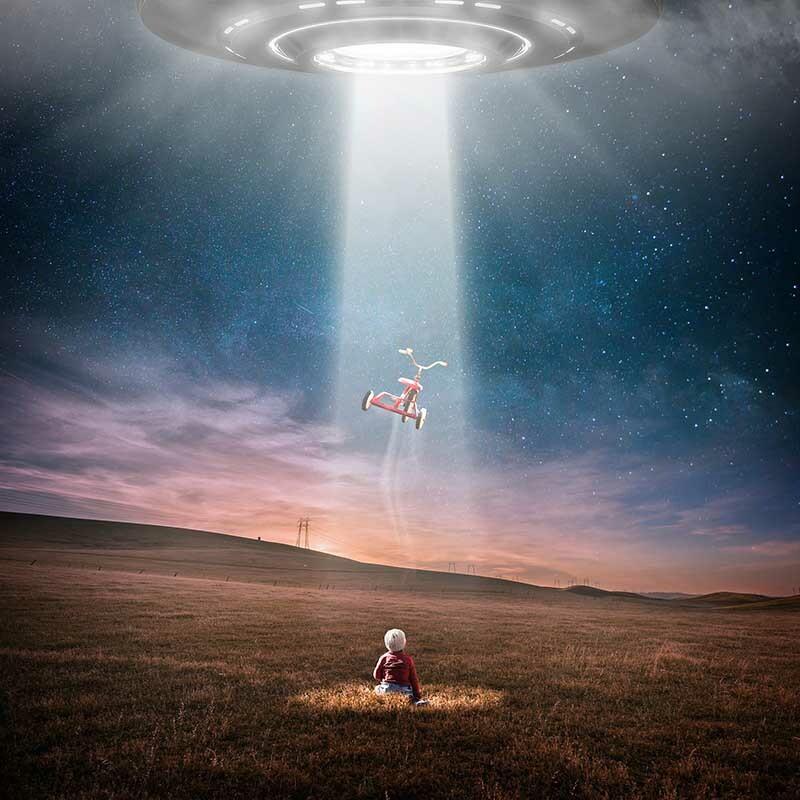 Apart from UFO sightings, there have been countless reports about people being abducted by aliens. Travis Walton is one such abductee. In NatGeoTV’s show Chasing UFOs the story of Walton was reported in which he claimed to have been kidnapped by aliens. He also identified witnesses who observed strange UFO activity soon after his alleged abduction. Investigators although disagree with Walton but it’s a fact that his story remained consistent throughout the investigation, which continued for decades. This story made a sensational debut in the movie Fire in the Sky as well. Another famous incident of abduction by aliens is that of Betty and Barney Hill. The couple was traveling to a road nearby Portsmouth, in 1961, when they believe aliens abducted them. While narrating the events, they said that a spaceship landed and they were taken inside the craft. There, they had to undergo thorough body inspection. They claim that aliens performed the inspection. This incident attracted worldwide attention and was also explored in the movie The UFO Incident. If you think that only common people have seen UFOs so far then you are mistaken. The fact is that a majority of the UFO sightings have been reported by astronauts. In 1977, Stanford University’s space science and astrophysics professor, Peter Sturrock, decided to find out the same thing. He mailed over 2,500 questionnaires to the American Astronomical Society members. The purpose was to find out more about their experiences of UFO sightings if any. Surprisingly, out of the 1,356 responses, 62 astronomers reported about witnessing unexplainable aerial occurrences. The rate of UFO sightings witnessed by astronauts turned out to be 4.6%. This is similar to 5% of the total UFO sightings that are still unexplained. Further investigation revealed that most of the UFO observations reported by astronomers occurred at nighttime. The article titled “Apollo Astronaut Chats About UFO, Alien Belief” published in Discovery magazine explained more about the discovery at Roswell. In the article, Apollo 14 astronaut Dr. Edgar Mitchell surprisingly admitted that the crash at Roswell involved aliens and a spacecraft. He also claimed that the Phoenix Lights was also an out-worldly event. “Three humongous craft flew over Phoenix, very slowly in the middle of the night that clearly were not local stuff, home-grown stuff” confirmed Mitchell. For decades, researchers have been trying to explain the phenomenon of UFOs. However, the biggest challenge that they face in studying it closely is that these spaceships appear suddenly. For science to explain something, it is important to verify conclusions using testable evidence. UFO sightings cannot be controlled or repeated. This is why Ufology is such a challenging study. The general public has also been fascinated by the UFOs to such an extent that any explanation from experts is quickly dismissed. Most of the explanations provided by scientists and the governments declare them as weather phenomenon or human acts. There is no substantial evidence that could justify the sightings to involve aliens, extraterrestrial, spaceships, and flying saucers. Experts believe that there has never been any extraterrestrial visit on the planet. There are no aliens and certainly no flying saucers. But, there is so little evidence that their theories can never be backed by solid arguments. The most they do is regard the topic as off-limits. In 2010, Dr. Michio Kaku, a well-known scientist, settled all the confusion once and for all by admitting that the UFOs are real. In his statement, he clearly said that at least 5% of the sightings are unidentified objects. These objects, added Dr. Kaku, behaved oddly and scarily. However, a majority of scientists believe that UFOs are simply planes and clouds. These could also be celestial events like meteors or planets that sometimes appear unusually bright. Despite investigations, some of the cases of sightings remain unexplainable to date. Scientists argue that the sightings could be of common objects that appear different in the skies. Some say that it could just be a normal balloon that appears unidentifiable high up in the air. It is simply not possible to dismiss thousands of UFO sightings as that of a balloon or the planet Venus. Still, a majority of the sightings are unexplainable while only a few could be regarded as manmade objects. In the past few decades, approximately millions of people have witnessed strange objects. There are pictures and videos available as well. So, can we disregard all of them and start believing that instead of a flying object, it could be a balloon? What about the abductions? Are such incidents merely hallucinations? Okay, hallucination can be the case once or twice but not always! It’s been exactly 71 years since Kenneth Arnold first reported about a UFO. Science is nowhere near the truth as yet. Whether it is a secret spying project by the intelligence agencies or aliens visiting our planet, there is no clarity. When there is doubt and mysteriousness surrounding an event, people will create theories. Despite that there isn’t any solid evidence of extraterrestrial involvement but can we completely rule it out? That’s not possible either. So, let’s believe in the unbelievable until science gives us a credible explanation of the UFO phenomenon. Previous articleWhat is the Illuminati- A Secret Society or Conspiracy Theory? What is the Illuminati- A Secret Society or Conspiracy Theory?